BMW is expanding its 6 Series line. 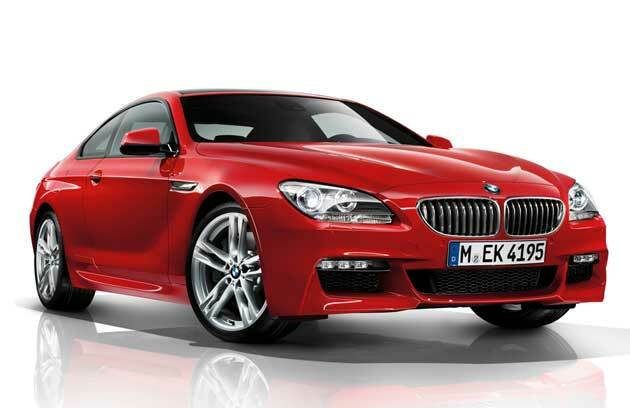 The automaker has just announced information on the 2012 640d Coupe and 640d Convertible. The two-door oil-burners aren't expected to make it Stateside, and that's a pity, as they make use of a twin-turbocharged 3.0-liter straight six with 313 horsepower and a hefty 464 pound-feet of torque. All that twist helps the coupe hit 60 mph in around 5.5 seconds while returning 51.4 mpg on the Imperial scale. BMW is also offering the 6 Series with xDrive for the first time as well, but only on 650i models. Thankfully, buyers can expect to see the all-wheel-drive coupe in North American dealers later this year. If chugging along with a diesel under your hood isn't quite your speed, you'll be happy to know that BMW is also offering a 6 Series M Sport for 2012. The package includes special aerodynamic additions as well as LED fog lamps and 19-inch, double-spoke aluminum alloy wheels. Inside, sport seats are trimmed in Alcantara and leather as well as an M Sport steering wheel. We think the more aggressive M Sport look helps mitigate the 6 Series' somewhat unfortunate nose... what say you? Check it out in the gallery, hit the jump to read the official verbiage and then weigh in with your thoughts in Comments. BMW reveals 2012 6 Series M Sport and diesel models originally appeared on Autoblog on Fri, 01 Jul 2011 14:00:00 EST. Please see our terms for use of feeds.